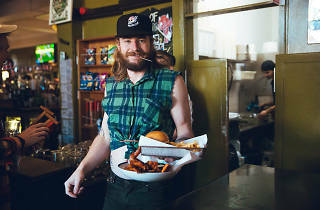 Tasty American barbecue is one of the main drawcards of the Erko, Erskineville's venerable and storied neighbourhood pub. 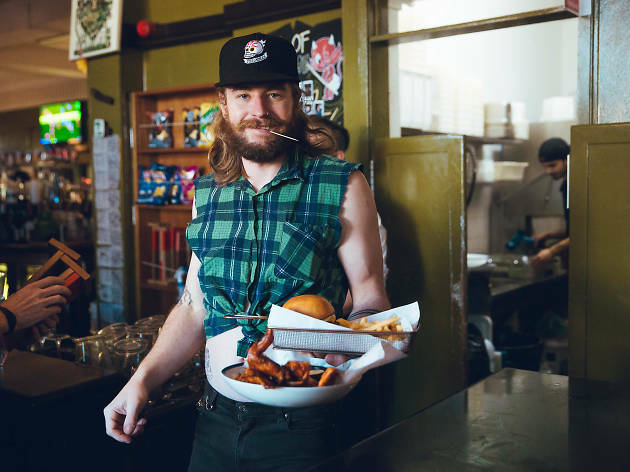 Every month The Erko presents Smokehouse Sundays, a series of events celebrating the best barbecue food from regions all over the United States. Each Smokehouse Sunday explores the cooking styles of different barbecue-loving states and this weekend the Erko will be collaborating with Chicago-based brewery Goose Island and venturing to the windy city. This special Father's Day edition will see head chef Jose Lagos and his team firing up the Erko’s much loved smoker to take you on a journey through Chi-town. The Erko and Goose Island are providing the Father's Day goods, with all dads getting their first IPA on the house. Add in DJs spinning vinyl from 1pm and a meaty feast, and you've got a great way to see out your Sunday.